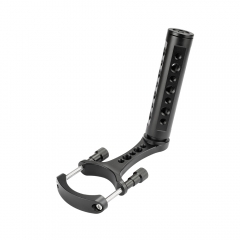 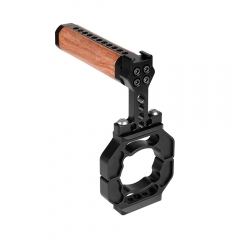 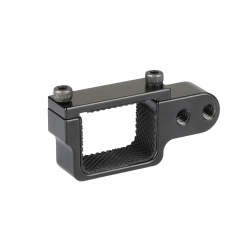 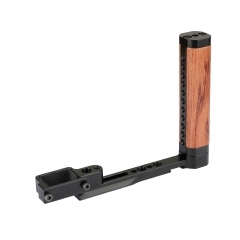 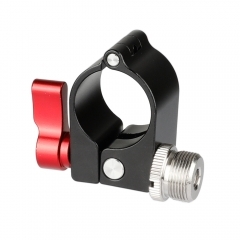 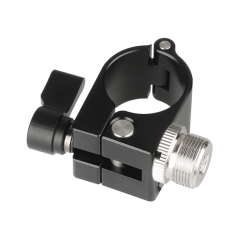 It is a quick rod clamp that fits on the 25mm handlebar of the Ronin-M 3-axis gimbal, and is compatible with DJI Ronin-MX, Freefly MOVI or any other 25mm rod. 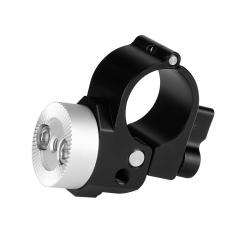 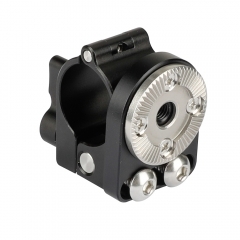 The multi-function mounting plate features plenty of 1/4"-20 and 3/8”-16 threaded holes for mounting additional accessories like EVF mount, articulating arm, cold shoe, etc. 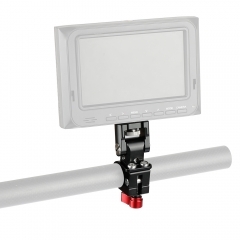 Thus you can use devices like display, microphone and video light to make a pro setup.